The Problem — Accessive, Inc.
Across our country, opportunity is not always equally distributed among today's talented youth. 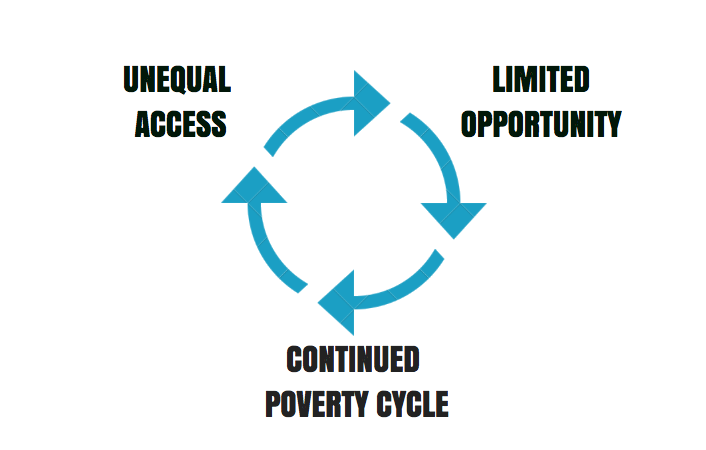 Accessive is fighting to remedy this by giving every student a fair chance to attend college and achieve their dreams. For many low-income, first-generation high school students, educating them on the opportunities available to them through high quality mentorship and guidance is all it takes to lead them down a path of success. 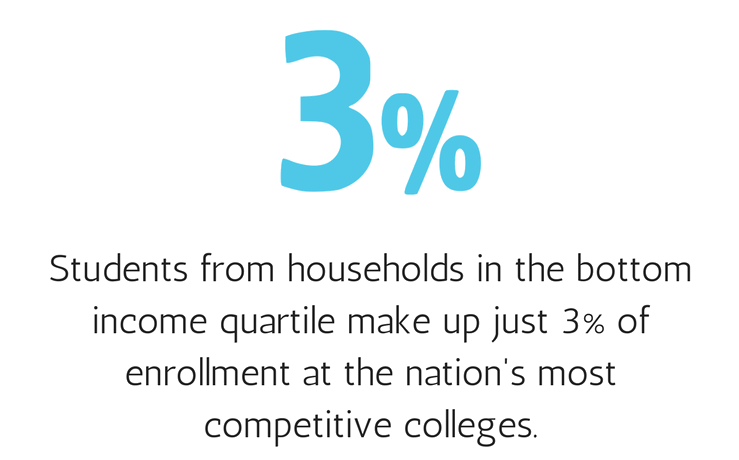 Many low-income students can easily become overwhelmed by the college admissions process. A lack of resources and guidance can ultimately lead to these students missing out on many opportunities for quality education and funding. Education is key for socioeconomic mobility. 46% of students who grew up in low-income families and failed to earn a college degree stayed in the lowest income quartile, compared to 16% of those who earned a college degree. Studies show that low-income students are half as likely than their high-income peers to apply to at least one selective college.